Moscow (AFP) - While Russian President Vladimir Putin's air campaign in Syria may have other aims, one result seems to be that it is hitting Islamists from Russia's Caucasus, say analysts. High on the list of places Russia appears to have targeted are positions held by the Al-Nusra Front -- an al-Qaeda associate with a high concentration of fighters from Chechnya, Dagestan and Muslim ex-Soviet nations in Central Asia. Russia's entry last week into the Syrian conflict is the country's first major military engagement outside the former Soviet Union since the collapse of Communism. At the weekend, Prime Minister Dmitry Medvedev said the mission aimed at protecting Russia itself. "It's better to do it abroad rather than fight terrorism inside the country," he said. The presence of Islamists from the Caucasus is not the decisive factor for unleashing Russia's military might, said Syria specialist Thomas Pierret from the University of Edinburgh. Even so, the presence of Chechens on the ground effectively makes it "the third round of Russian-Chechen conflict," Pierret said. Moscow fought two bloody wars against Chechen separatists between 1994-96 and in the early 2000s, bringing the breakaway Russian region under the capital's control. But it failed to stem the spread of an Islamist insurgency into the surrounding regions, particularly Dagestan and Ingushetia. Fighters originating from the Caucasus are believed to have first appeared in Syria in summer 2012, notably at the battle of Aleppo. The men have a reputation for being good warriors and are dubbed "Chechens" by locals even if they come from elsewhere in the Caucasus, a region where Muslims overwhelmingly adhere to the Sunni branch of Islam. 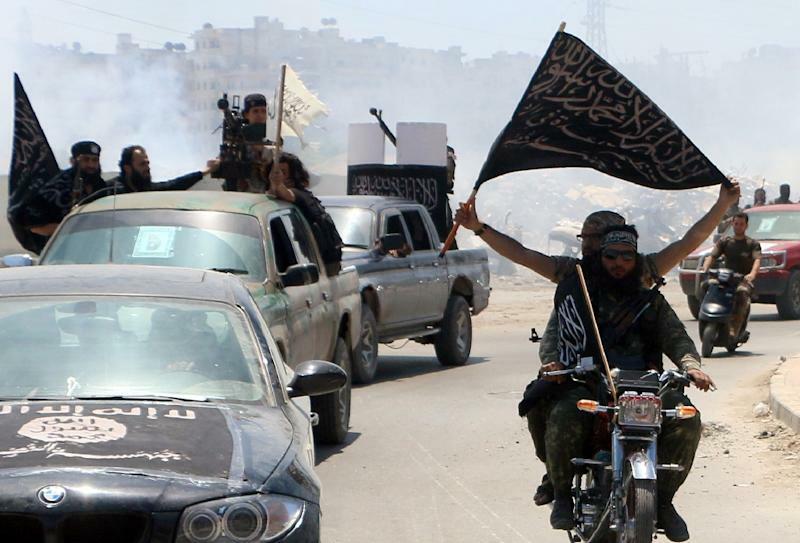 Now there are "at least 2,000 fighters" from Chechnya, Dagestan and other Caucasus regions who operate in Jund al-Sham al-Shishan, alongside Al-Qaeda affiliate Al-Nusra front, the director of the Syrian Observatory for Human Rights Rami Abdel Raman told AFP. "They are concentrated in Idlib, Aleppo, and Latakia provinces," he said. These are the northwestern regions of Syria where Russia's campaign has been concentrated since being launched on September 30. Other groups with a strong presence of Caucasus fighters include Ajnad Kavkaz (Soldiers of the Caucasus) in Idlib and Latakia, and the Jaish al-Muhajireen in Aleppo, which also includes Uzbeks and Tajiks and is split into Al-Qaeda and IS-loyal factions. The chief target named in Russian communiques is the Islamic State, also known as ISIL or Daesh -- but western countries doubt this, and also say moderate groups have also been hit. 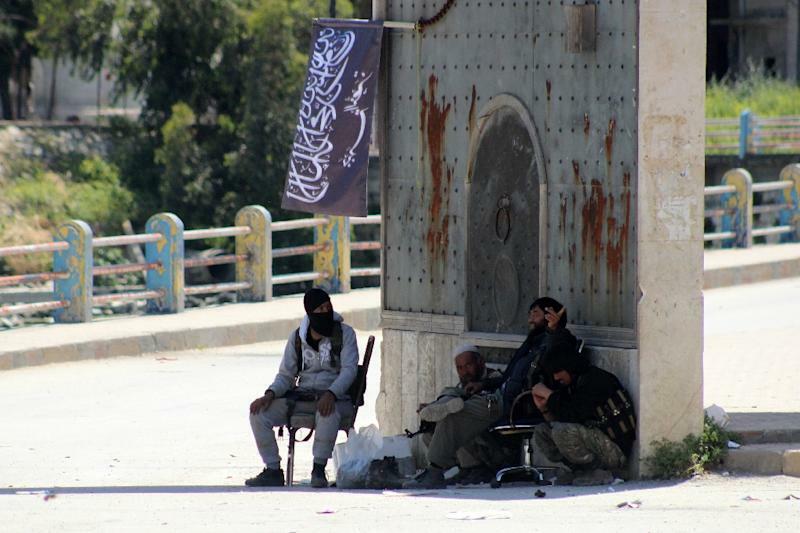 "The Russians consider it better to concentrate on the Al-Nusra Front where the Chechens and the Caucasians are, since they think the (US-led) coalition is already dealing with IS," said Romain Caillet, a French expert on jihadists. Strong links between the Caucasus and the Middle East stretch back over a century. Sizeable minorities in Syria are descendants of Caucasus tribes driven out to the Ottoman Empire by tsarist troops following the end of the Caucasus war in 1864, including Circassians, Kumyks and others. Their plight in Syria is already a factor in rousing anger in the Caucasus, said Grigory Shvedov, editor-in-chief of the Kavkaz-Uzel.ru website which specialises in the Caucasus region. For militants "it would be advantageous to use news about civilians killed in the bombings" to stir up unrest inside Russia and open a "second front," he said. Islamists in the Caucasus have in recent years pledged allegiance en masse to the Islamic State, and the feared group has created a protectorate in the region, though a drop in suicide bombings since 2013 inside Russia indicates that many have left for Syria or Iraq. A report by Novaya Gazeta opposition newspaper from Dagestan said in July that Russia's security services have turned a blind eye to departing Islamists, even helping them out with travel documents for Turkey, thereby weakening the homegrown insurgency. Though there has been no official response from the jihadists to the bombing campaign yet, the risk of attacks in Russia is still there, said Aleksei Malashenko, an analyst with the Carnegie Moscow Center. "Attacks in Russia are possible, in any case, one should be prepared for them," he said. "They have to respond somehow... the risk is higher than usual." A video circulated via Russian Islamist websites at the weekend purported to show Chechen fighters calling on Caucasus natives to come back home to wage holy war on Russian soil. "We have successfully reached home and began searching for everything needed for jihad," a masked man says in the clip. "We ask other brothers to also come home."